Both expand their ability to combine real time communications with asynchronous social networking. 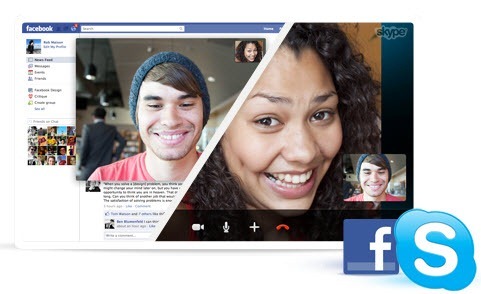 The major feature introduction is the launch of one-to-one video calling from the Skype client to your Facebook Friends. In addition there are updates to the delivery of Facebook presence information to/from your Skype client. Combined with the previous Facebook news feed and Facebook chat, the Skype client is also becoming a unique Facebook client/user interface. Skype 5.7 for Windows beta now supports screen sharing in Skype Group Video Calls – a feature available on the previous release of Skype for Mac. Skype for Windows has also added a “Push-to-Talk” microphone toggle in its hot-keys menu (Tools | Advanced | Hotkeys). (OK, this feature, addressing a request from gamers, is missing from Skype for Mac). Bottom line: For the first time it would seem that both Skype for Windows and Skype for Mac have feature equality for all their major features. The challenge remains to make the user interface, including navigation, consistent between the two. At the moment they require two different learning experiences. And Skype for Mac is still missing the Call Quality Information bar. Please post your comments and suggestions on our Support Network and in case you see the odd bug then please report it to us on our public issue tracker, so that we can make the next release an even better one. What will Microsoft rebranding Lync as Skype for Business change, besides the name?